The timing belt is the belt that controls the camshafts in your engine, opening and closing valves at just the right time for smooth operation. 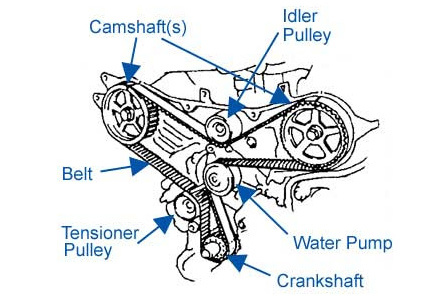 The timing belt has teeth that turn the camshaft in time with the crankshaft. Some cars and trucks use timing chains or gears, which are more durable. 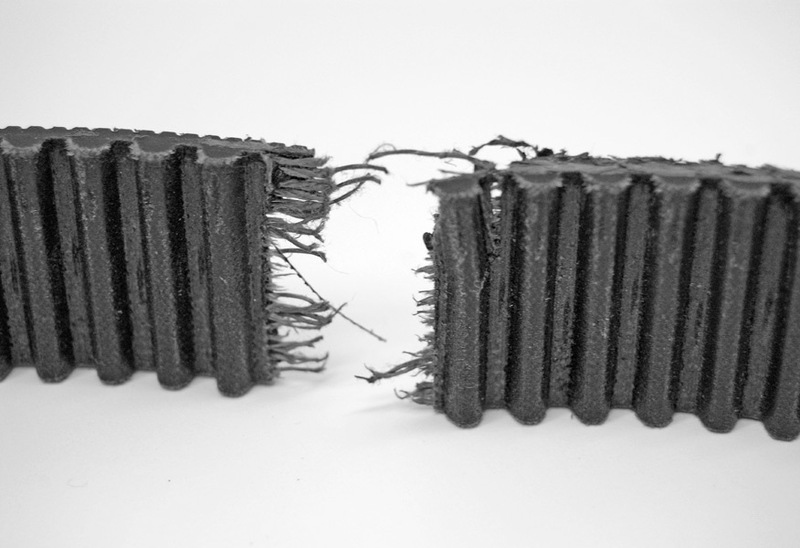 But timing belts, made of rubber compound, are quieter and more efficient. They also don't need lube to work. While you're getting the timing belt changed, it's a good idea to get a new water pump, too. Water pumps have similar life spans, and they're easy to get to while the timing belt is off. If you wait, you'll have to pay more for installation later. When is it time to change a timing belt? Most timing belts are rated for between 60,000 miles and 90,000 miles. The belt can't be checked easily so you should replace your timing belt on a schedule. Check your manual. If it's time, bring your car or truck in for a free estimate.